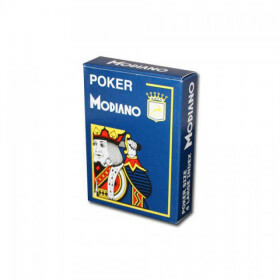 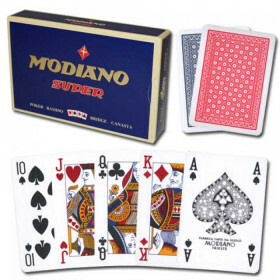 One set of Modiano club plastic playing cards, red/blue, poker size with 4 color index. 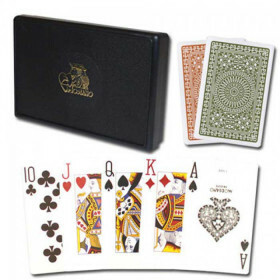 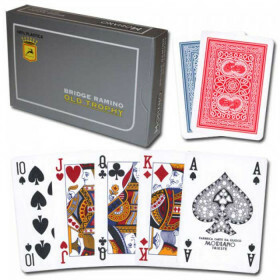 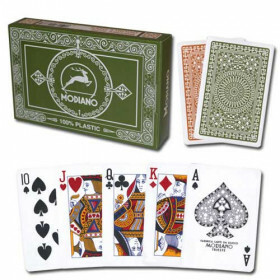 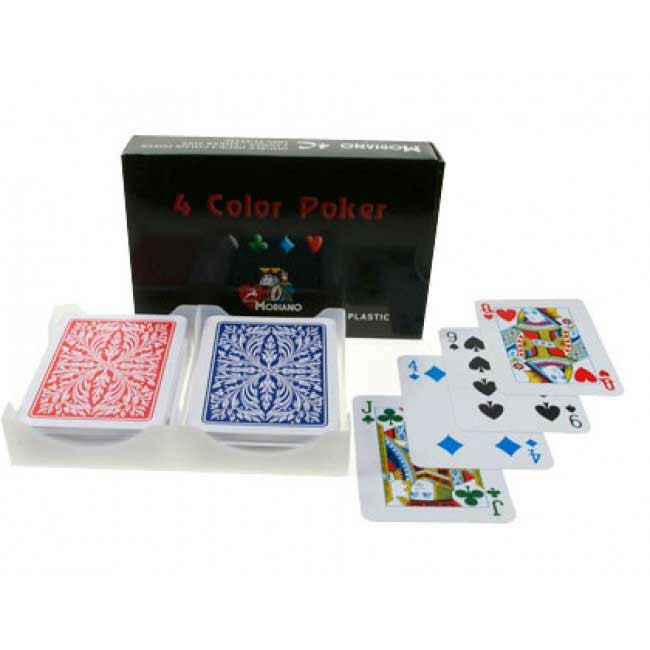 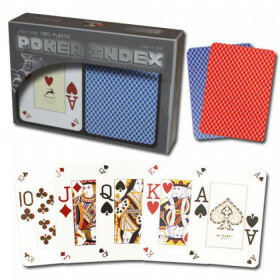 This set of Modiano playing cards includes 2 decks of poker size (2.5" x 3.5") playing cards with 4-color index. 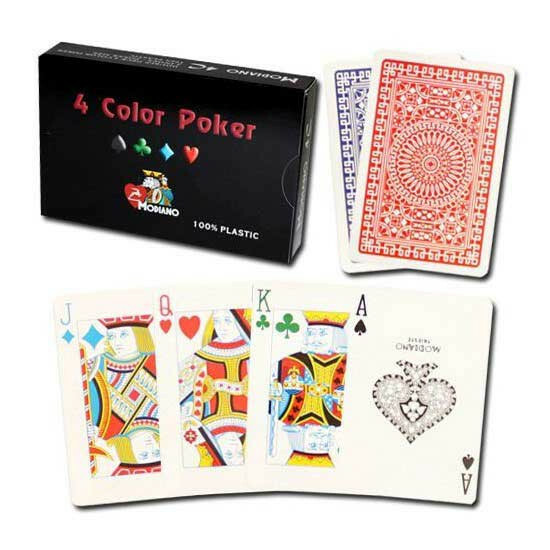 each suit is a different color (green clubs and blue diamonds), and includes a protective plastic case.